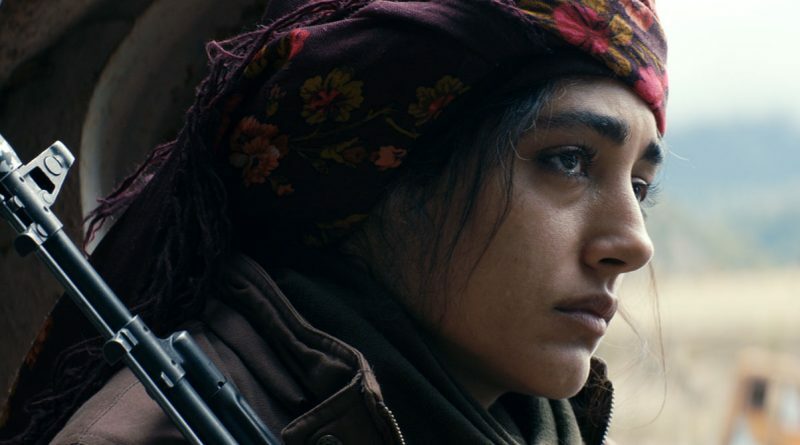 French filmmaker Eva Husson’s Girls of the Sun is a fictional work drawn from the testimonies of real Kurdish and Yazidi women who were kidnapped, raped and brutalized by ISIS when the terror group invaded Iraq and Syria. The visceral film reveals the vile treatment they received at the hands of their captors and how they made a dangerous decision to escape and fight back. Iranian actress Golshifteh Farahani delivers a fierce yet nuanced performance as Bahar, the lawyer/wife/mother-turned-brave commander who rallies her all-women militia with the battle cry “Women, Life, Liberty” to convince them they indeed have what it takes to fight ISIS. Husson is a talented writer and director who chose to portray these courageous women as resistance fighters rather than victims. Her decision to use flashbacks to reveal the hell that Bahar had experienced in the past helps us appreciate her emotional frame of mind in the present. While it’s inspiring to see a woman journalist embedded with these fighters who risks her life to tell their story, the character of French journalist Matilde H (Emmanuelle Bercot), loosely based on the American journalist Marie Colvin who died while covering the war in Homs, is not well integrated into the proceedings. Her oddly timed appearances throughout the film distract and interrupt the pace of an otherwise emotionally gripping story. Noteworthy is the work of DP Mattias Troelstrup who adeptly captures the beauty of the landscape and the colorful, lively Kurdish culture.